I’m up extra early today as I need to hurry up and make my way over to York Pennsylvania for the IPA Powerlifting Nationals starting tomorrow morning. I’m a bit superstitious (it’s ok, you can judge me) so I’m not going to divulge too much information right now but rest assured you’ll get a comprehensive play-by-play sometime next week. 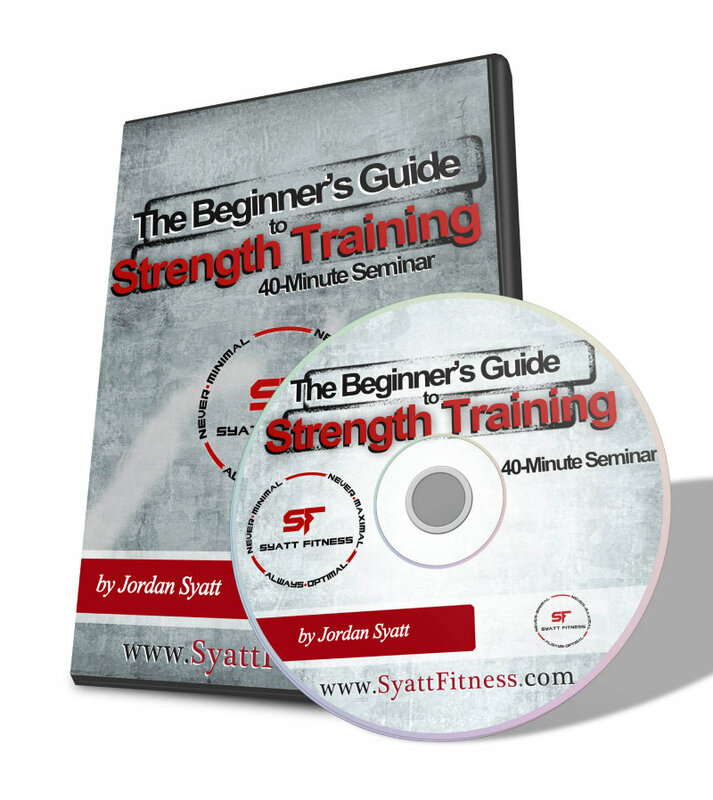 In other news, before we get this installment of The Week In Review I want to make sure you know that yesterday I released a FREE 45-minute seminar entitled The Beginners Guide to Strength Training. It’s an extraordinarily comprehensive seminar and – of course – the best part is that it’s 100% free. For an in-depth break down of what exactly is included within the seminar take a look at this short article. Finally, to download your seminar simply sign up for my free newsletter at the bottom of this page and the link will be sent directly to your inbox. And with all that being said, let’s get to this weeks’ installment of The Week In Review! > What’s better: Single-Leg or Bi-Lateral exercises? > What’s most beneficial: Single-Leg or Bi-Lateral exercises? > Which one should be omitted from our programs: Single-Leg or Bi-Lateral exercises? The hype around single-leg and bi-lateral training is wayyyyyy overdone. Some consider bi-lateral exercises to be the death of the human race while others think of single-leg drills as useless and a waste of time. The reality is that BOTH have a time and a place within a well designed training program. In fact, there’s absolutely no reason not to include BOTH of them within your training routine! Each option provides unique benefits that – when combined – leads to much better outcomes than either option alone. Instead, we should start to think about what’s best *for a given situation* and use that information to make the best choice at that point in time. Tuesday’s Strength Lesson: A powerful Deadlift lockout cannot be built unless you practice locking out the Deadlift with power. To give you an idea of what I mean by “practice locking out the Deadlift with power,” check out my short video below explaining The Dimel Deadlift. I’m not going to explain The Dimel any further here because, if you watch the video, well…it’s self explanatory. Want to lock out with power? Start practicing to lock out with power. Wednesday’s Strength Lesson: Strength comes in all shapes and sizes. There is not a single “look” that strength training can produce. Training for strength won’t make you look like a Bodybuilder. Training for strength won’t make you look like a Powerlifter. Training for strength won’t make you look like…well…anything other than what you want. Many people are worried to begin a strength training program for fear of getting too big/bulky, becoming muscle bound, etc, etc ,etc. It’s important to understand, however, that strength training alone will NOT do any of those things. Instead, *how* you implement strength training combined with what (and how much) you EAT will determine the physical effects you experience through training. Plain and simple, strength training doesn’t have a single effect (i.e. make you big and bulky) on your body. Rather, there are numerous subsets of strength training and – depending on which you utilize as well as what (and how much) you eat – your body will experience different results. To illustrate, think about gymnasts, dancers, and ice skaters…they’re strong as all hell but NONE of them look like a bodybuilder or powerlifter. Simple, they strength train (and EAT) in a way that fits their specific needs, goals, and preferences. Remember, strength comes in all shapes and sizes. There is not a single “look” that strength training can produce. Thursday’s Strength Lesson: Do you have shoulder pain or discomfort? Are you looking for some simple, basic, and effective exercises to aid in fixing the problem? You can perform these movements a minimum of 2 days per week while focusing on maintaining proper form throughout the entire movement. No need to go too heavy on these, either. Simply body weight or a light external load is more than sufficient to accomplish our goal. Generally speaking, 2-4 sets of 8-12 repetitions is sufficient for each individual exercise.